Belize NMS: High pressure ridge affecting the weather. 24-hour forecast: Cloudy, cool and windy with little or no rainfall. General Outlook: For Friday and Friday night is for similar weather conditions. Today N-NW 15-25 kts Rough 6-8 ft LITTLE OR NO RAINFALL. Tonight NW 15-25 kts Rough 6-8 ft LITTLE OR NO RAINFALL. Outlook N-NE 15-25 kts Rough 6-8 ft LITTLE OR NO RAINFALL. A surface trough extends from the S Bahamas near 23N71W to central Hispaniola to the north central Caribbean near 17N72W. Scattered showers are over the Virgin Islands, Puerto Rico, Hispaniola and the S Bahamas. 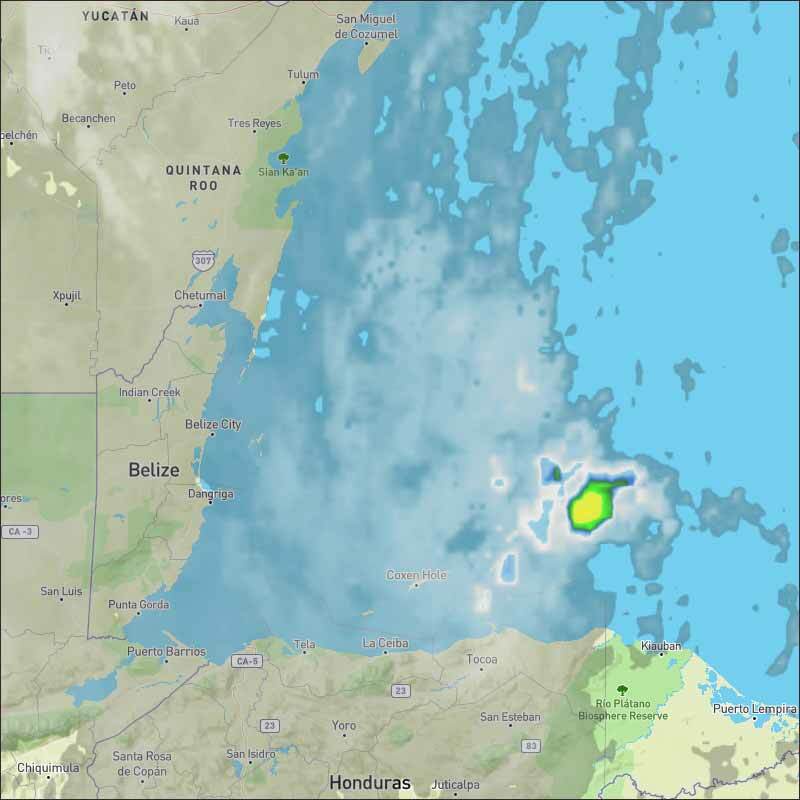 A tropical wave is over the central Caribbean. 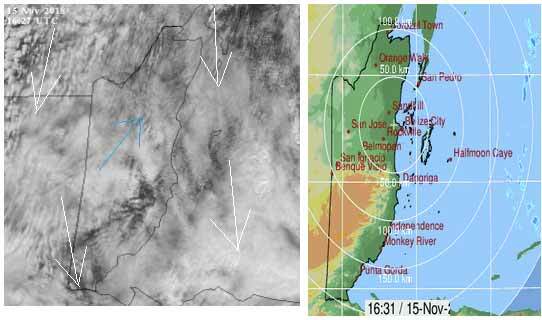 A cold front extends S from W Cuba near 22N84W to NE Honduras near 16N85W. Scattered showers are within 60 nm of the front. 25-30 kt N winds are noted W of front. 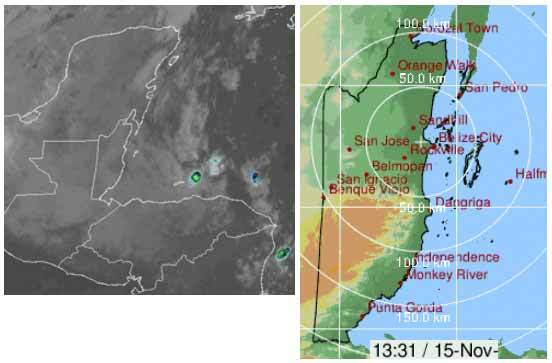 The front will slowly move southeast, eventually stalling from eastern Cuba to eastern Honduras by Sat. E swell will maintain seas 8 ft or above for tropical N Atlantic through the end of the week. In the SW Caribbean, widely scattered moderate convection is noted south of 12N between 75W-84W, due to the eastern extent of the Eastern Pacific monsoon trough. The northerly cold front is still sending cold air down our way, but the long rains yesterday, over an inch, has now moved out over the sea. There is more high level SW cloud, causing a little clashing way out at sea. The cool surface wind is still from the SW, not as strong as it was yesterday. The Caribbean wind is now, also from the north. 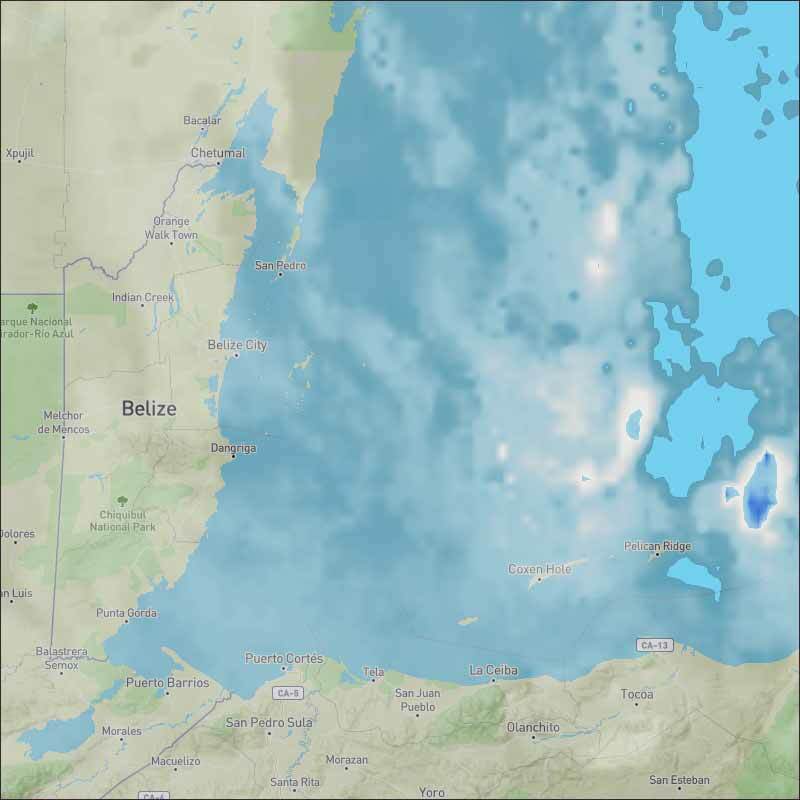 Looks like today will stay thick cloud most of the day for most of Belize, little or no rain. On Ambergris Caye this morning we have a strong Northwest wind placing the barrier reef in the islands lee. It looks calm from shore but is very rough outside the barrier. 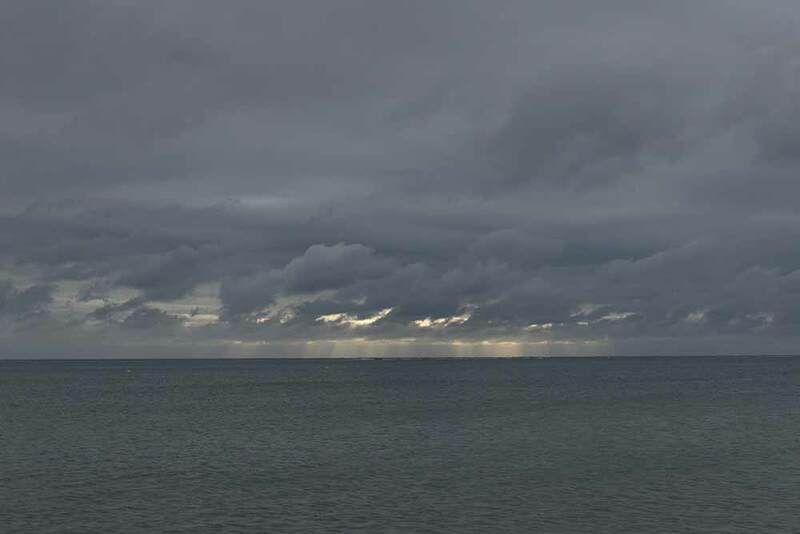 The sky is overcast and today's expected high is in the low 80's. The Cloud picture. All the cloud moving down from the north, no visible high level cloud. The surface wind, light blue, is from the SW. No rain around on land.